In September 2015, Dark Horse Comics will take readers on a road trip of horrific nightmares in small-town America—kept at bay by one man in junkyard armor. In the tradition of True Detective and From Hell, the new graphic novel by Victor Gischler (Angel & Faith), Davide Dileo, and Riccardo Burchielli (DMZ) brings Highway to Hell to America, introducing a whole new level of horror to English-speaking audiences. 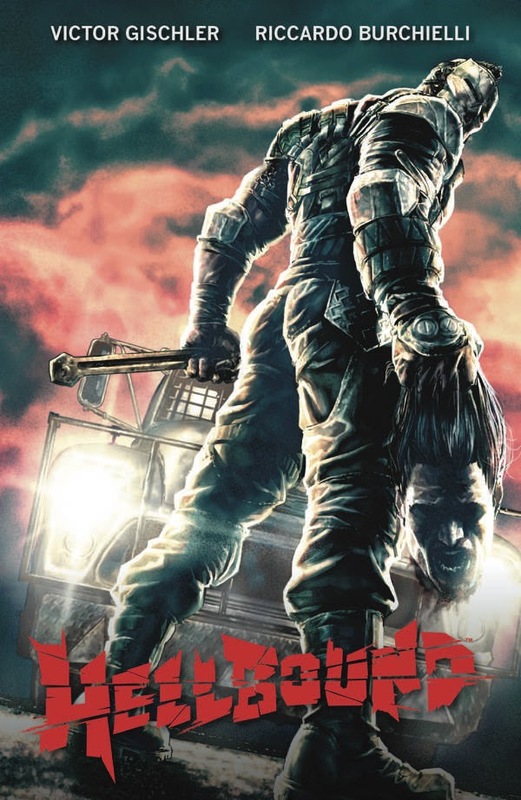 Featuring a cover by superstar artist Lee Bermejo (Suiciders), Hellbound keeps the nightmares coming in one convenient package. Arriving in September, Hellbound will be available for $17.99, and can be preordered from Amazon.com.